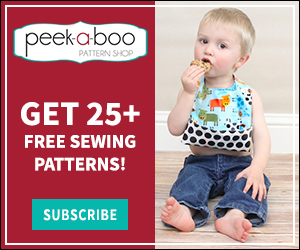 How to Sew a Knit Binding - Peek-a-Boo Pages - Patterns, Fabric & More! 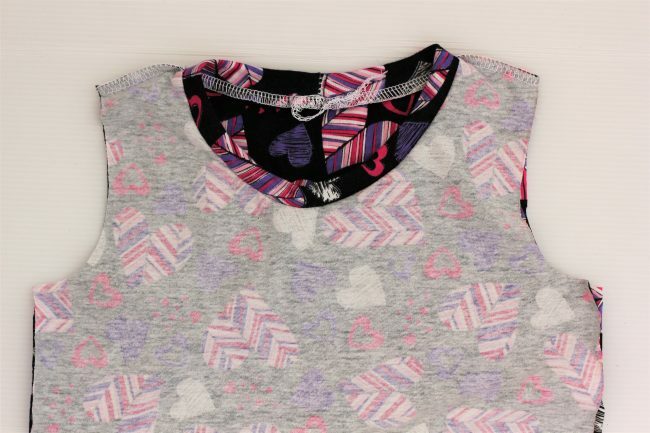 There are a few ways to finish a neckline or armhole (for sleeveless shirt). One of my favorite ways is a knit binding. 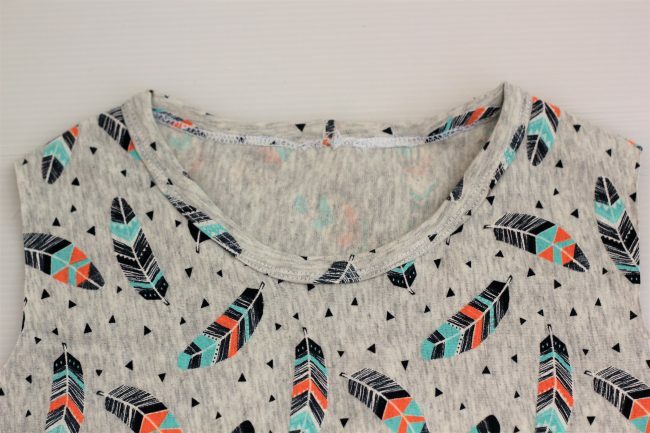 Learning how to sew binding on your knit shirt is an important key to having your project turn out well. 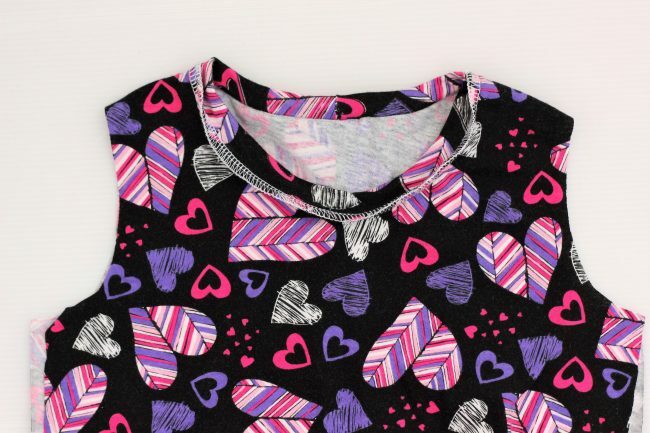 I have to agree that I adore shirt or dress with binding instead of using neckband. The clean look from the binding is professional like a ready made shirt. I usually go for binding when I couldn’t find matching ribbing for the shirt or the when the self fabric is less stretchy. Keep in mind that if you do not wish to add keyhole on your neckline, be sure the neckline can accommodate your head. When using a binding, make sure the stretch direction follows the length of the binding. So I usually make the width of the binding between 1.5 inches to 1.75 inches depending on the project. As for the length , it is between 90 to 95% of the total neckline. 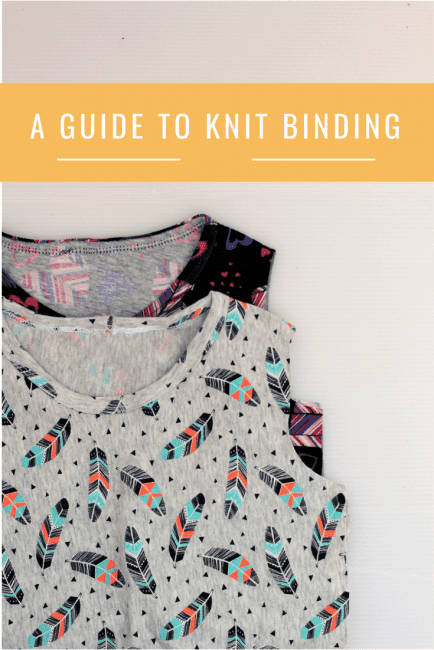 Don’t fear for I will guide you step by step on how to sew binding on your knit project. 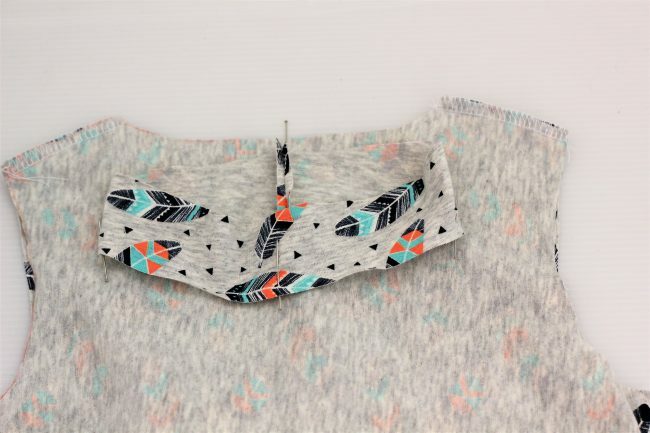 Here are my two favorite ways to sew binding. The first one is traditional binding. 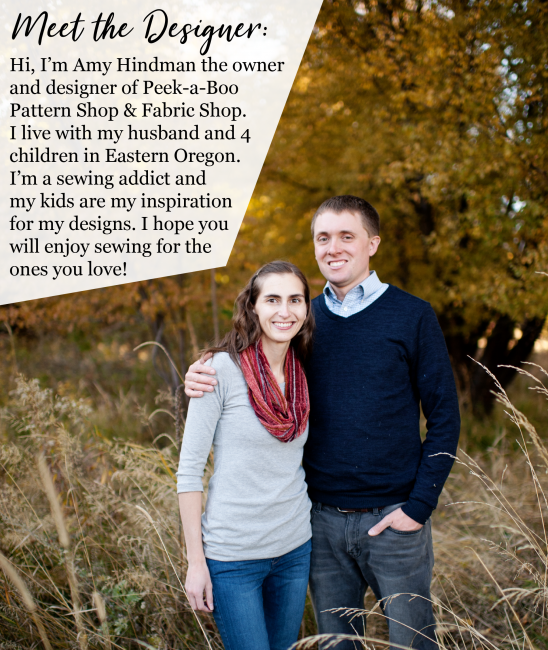 You are going to sew it the same way you do with woven fabric. 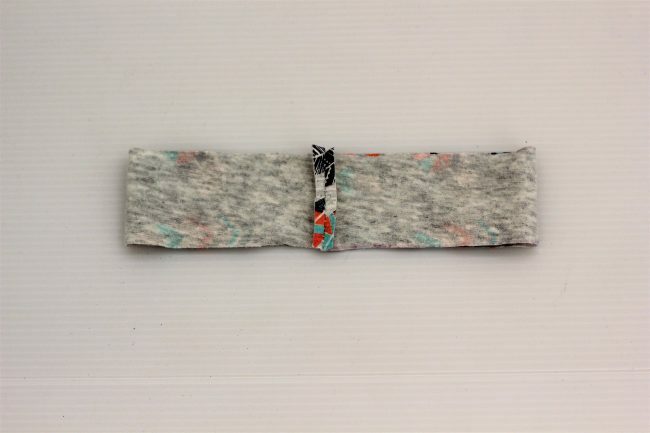 The second one is what I call flip neckband. 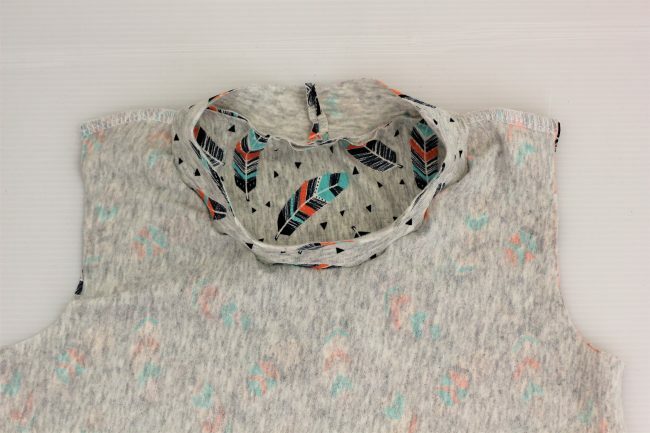 • Start with sewing at the shoulder seam. 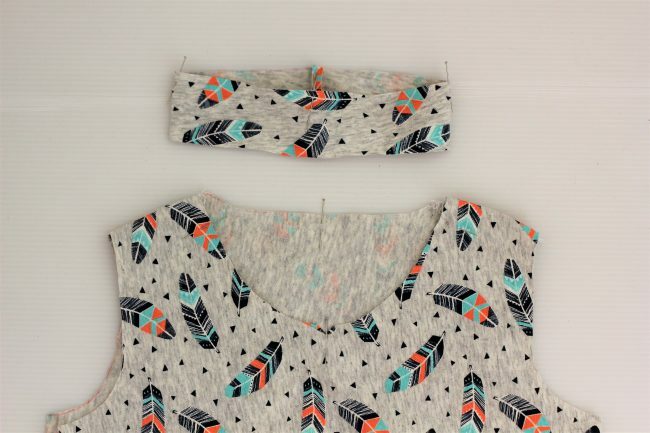 I usually finish the neckline before attaching the sleeves. Measure the neckline. 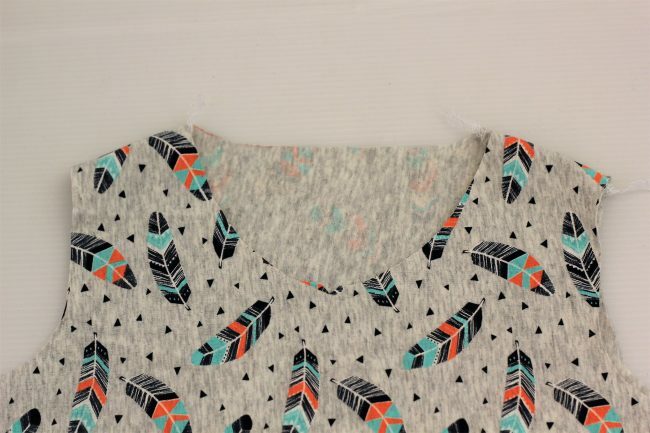 For example in this picture, the neckline is 14.5 inches. 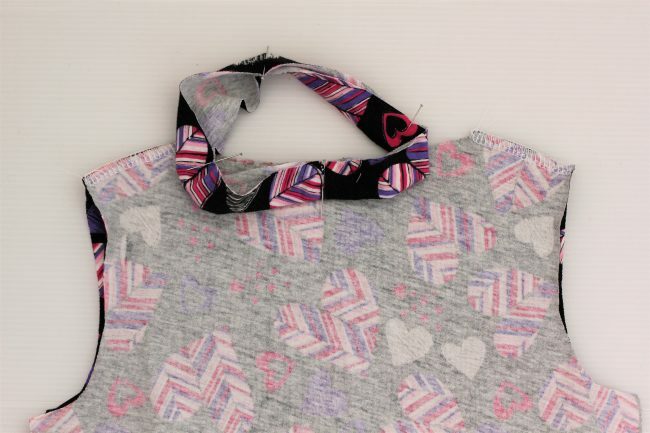 Now sew the binding into a loop. 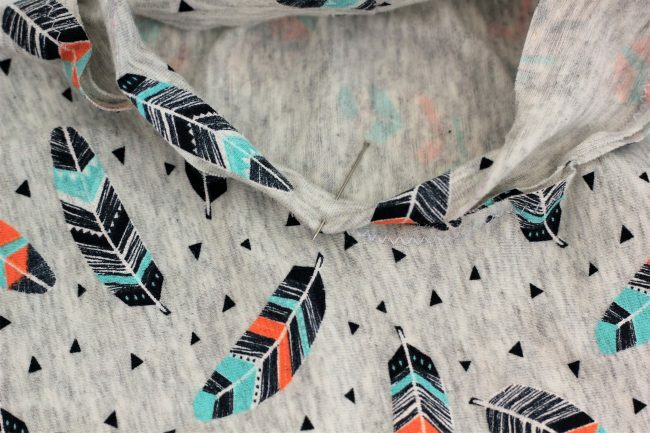 I would recommend sewing using zigzag or stretch stitch and press the seam allowance. 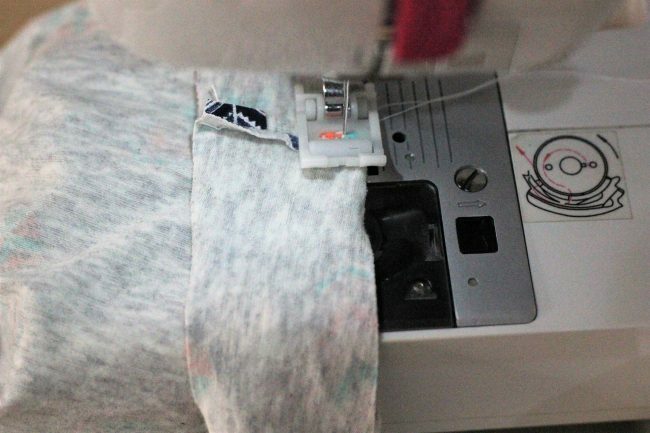 Using a serger will only result in bulkiness on the binding. 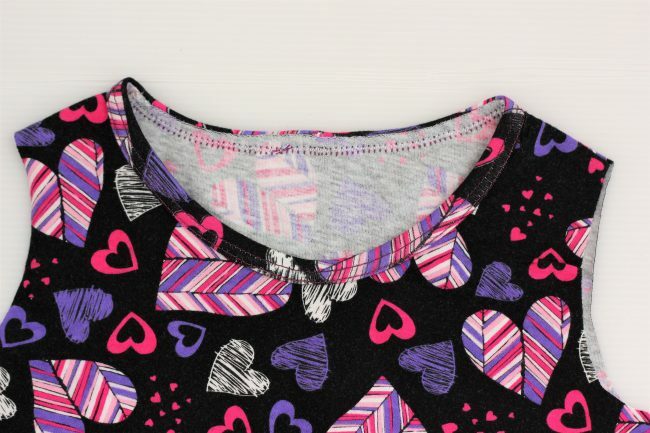 Next, you will mark quarter points on the binding (mark at one edge only) and the neckline. 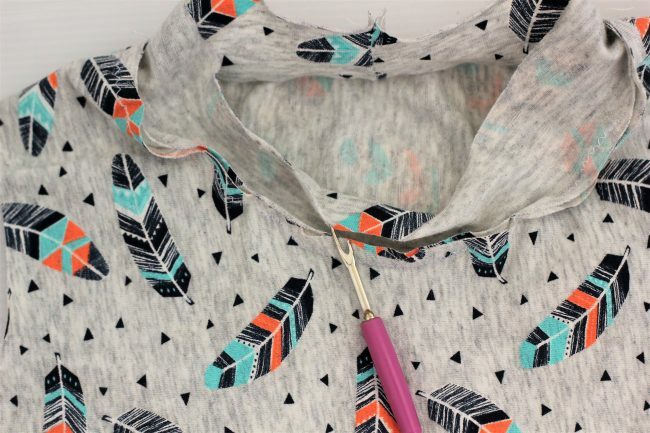 • Then line up the raw edge of the binding to the raw edge of the neckline. 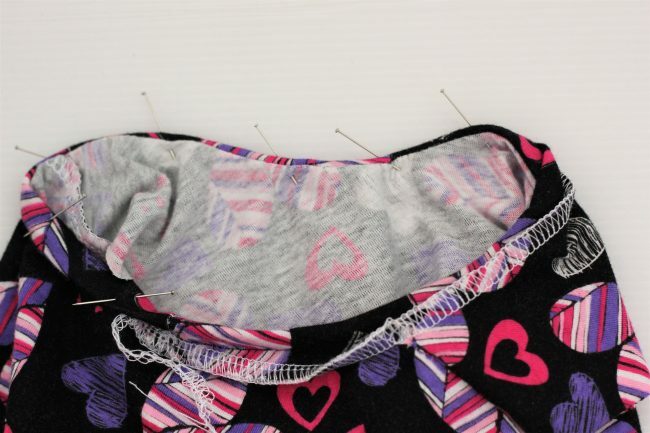 Make sure to place the right side of the binding facing the wrong side of the bodice, match the quarter point. 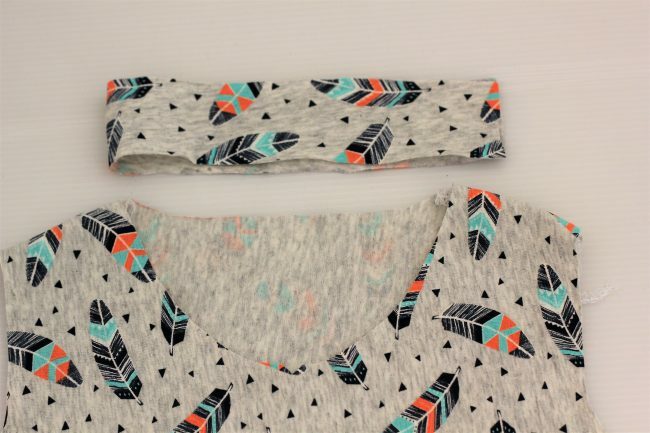 After that, sew together while slightly stretching the binding using zigzag or stretch stitch at 3/8 seam allowance. Now fold the edge of the binding to edge of the neckline. 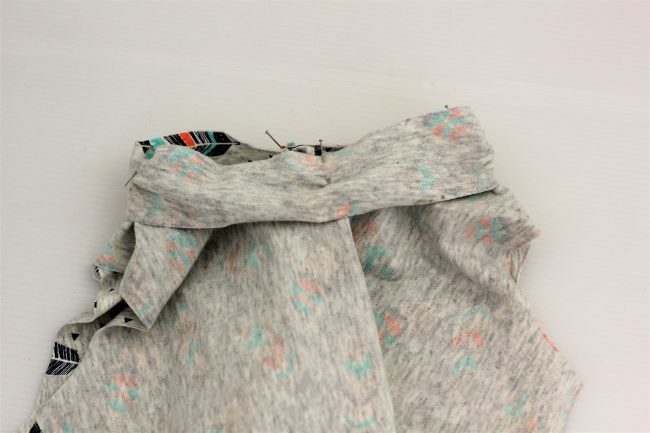 Now that all raw edges are hidden, sew using your preferred method. 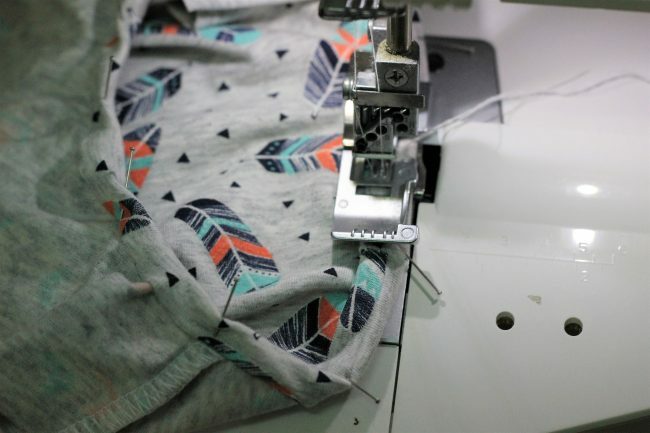 I use coverstitch machine in this picture. 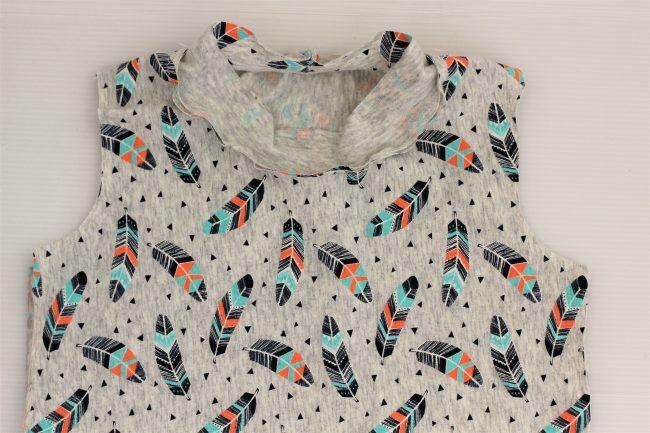 Iron the neckline once you are finished sewing. For this method, I increase the width for the ribbing to 1 5/8 inches. The length is the same with the traditional binding which is 90% of the neckline. 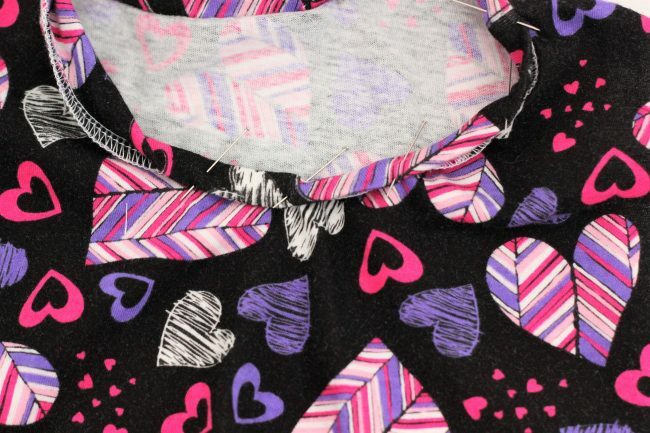 Add seam allowance at the short ends of binding. 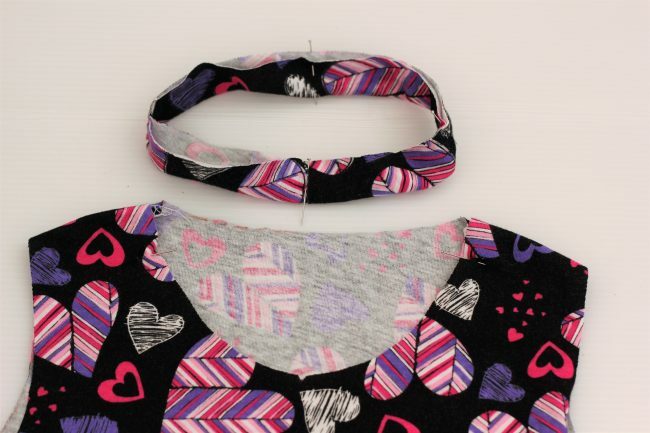 Sew the binding into a loop and fold your bind together lengthwise. Mark quarter points on the band and the neckline. With the right side of the folded binding matching the wrong side of the bodice, match the quartered points and hold with pins. 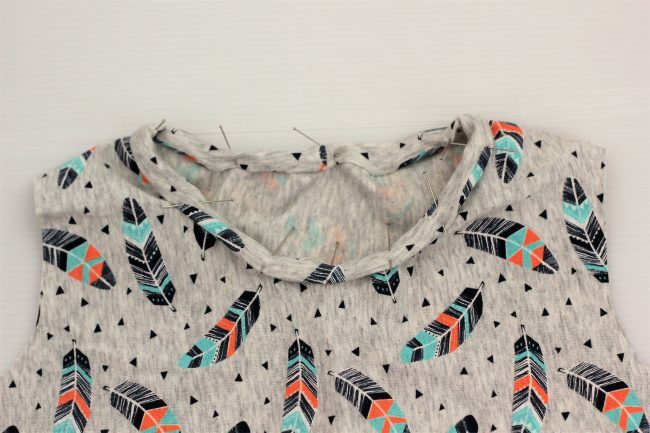 Slightly stretch the band when you sew into the raw edges of the neckline. 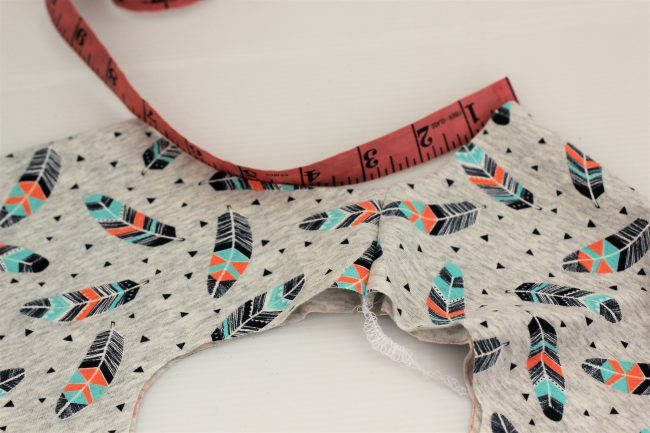 Seam allowance is ¼ inches and you can use your serger. 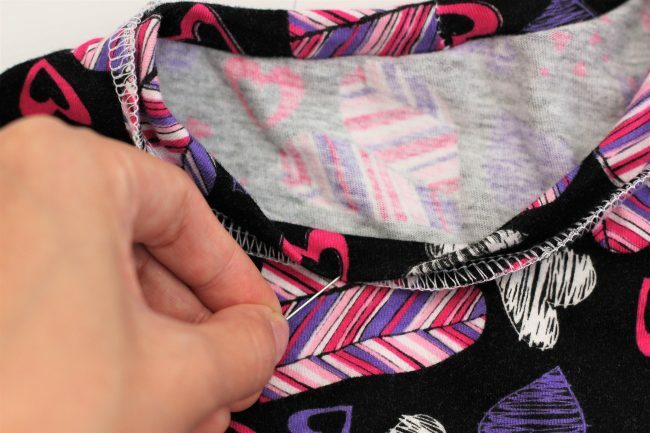 Flip the band over to the right side of the fabric to enclose the seam allowance. Make sure the band shown about 1/8 inches at the wrong side of the bodice. Then pin and topstitch using appropriate stitch. I use twin needle in this picture.